To you Christmas might be such a distant memory but to me it’s still so vivid. It’s because for the first time my daughter was so clued in. Thanks to school and this amazing book we read. Last November, I was so fortunate to get sent this book via Mumsclub, written by Jani Tully Chapman to review. Personally, I enjoy reading but I haven’t always made time to read to my daughter. It was easy when she was a toddler and I wasn’t working so much. However, as she grew older and my workload increased, I passed on the duty of reading to her, to my husband. I knew reviewing this book meant I had to read it to her. My DD is in reception and actually reads quite well – yellow band but I didn’t realise this meant reading to her would be easier. I hadn’t factored in all the challenges of reading this book to her though. When the book arrived, I had a 4 month old and was in the process of exchanging contracts to move house. Anyway, I made sure I didn’t lose sight of the book and one night when Daddy was late in from work, I decided to start reading. We started off great then the 4 month old thought he’d add his 2 pence. Each time, I started reading, he would interrupt with some babble. After reading 2 pages with interrupting babble, DD decided she’d had enough. That attempt was early December, we finally moved DD to her room just before Christmas and one evening last week, I decided we’d try to read it. – it looked very adult with a dust jacket et al. I think this helped to attract DD. She must have been thinking “Wow! A grown up book for me to read”. – the artwork is crisp and clear. The book is about animals and all their features are well pronounced in the drawings. – the pages are not typically busy as some children books nowadays tend to be. This really helped DD to follow the story easily. The book is about Christmas which is DD’s favourite time of the year. There’s a great build up of excitement as everything gets put together for the season from the groceries needed for mince pies to the natural Christmas tree being delivered. It’s an absolutely delightful book for the child who’s just learning about the traditions that make a great Christmas. Now that DD is 5 and learning to write, she signed and addressed all her Christmas cards including one for her baby brother. As you can imagine, it was not an easy task. However, reading this book, she also learnt how much effort everyone puts into making Christmas happen. I won’t say much more so you can enjoy reading the book. I think it’s a book that makes a great read any time of year as it will give children some thing to look forward to and remind them why they have to be good all year. 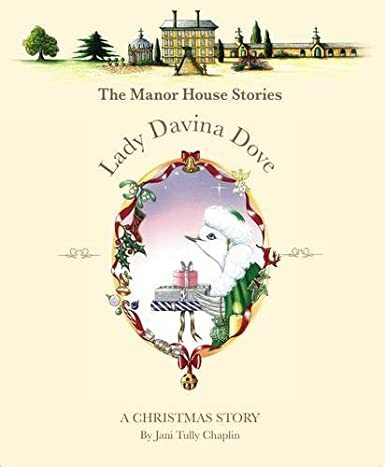 Our favourite part is right at the end where Lady Davina’s husband is guessing who gave her a certain Christmas gift. Then, the author asks “do you?” DD read this herself and also answered the question. It made me happy that my reading was not only engaging but she also had such good comprehension of the story. So now you know an engaging book you can read this Christmas to your little ones and it’s available on amazon too! Hi and thanks for the kind review, so pleased you enjoyed it! We have just released the latest book, Cream & Sugar the Milkmaids ‘Snowfall and Snowballs’ which enables children to get the feeling of a snowy January – even it hasn’t fallen yet – if you’d like a copy please send me your address – happy new year! Thanks for stopping by Mark. My pleasure. I’ll be in touch.